Google unveiled the Nexus 6P, a new version of its Nexus 6 smartphone with a slightly smaller 5.7-inch display and a completely new design. The phone is only 7.3mm thick and is supposed to be about the same overall size as the iPhone 6 Plus — that means it's fitting a slightly bigger screen into a body of about the same size. That screen, a WQHD AMOLED display, actually makes up nearly three quarters of the front of the device. We already knew the specs, thanks to those leaks, but here's what we know. We'll update this as we learn more. 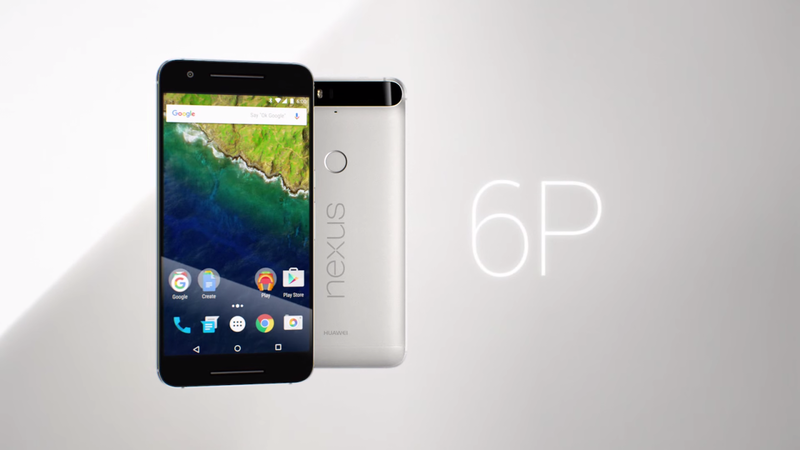 Google is calling the Nexus 6P its "most premium phone yet." That's for a lot reasons. 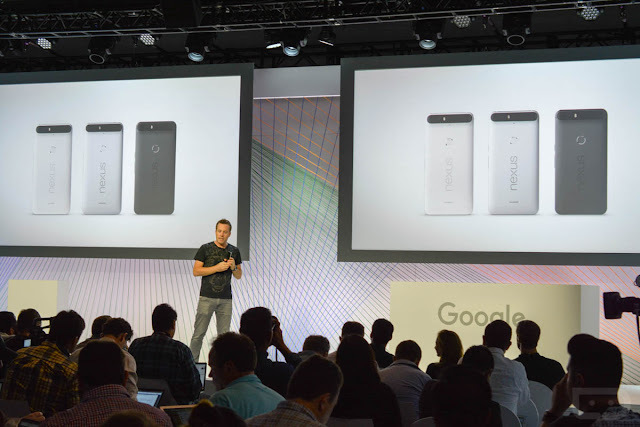 It's the first Nexus with an all-metal body. It includes two front-facing speakers. It also includes a fingerprint sensor on the back, placed where Google expects you to rest your finger while holding it. All you need to do is tap on the sensor with your finger, and the phone will wake up and unlock. It can also be used to authorize payments through Android Pay or in the Play Store. 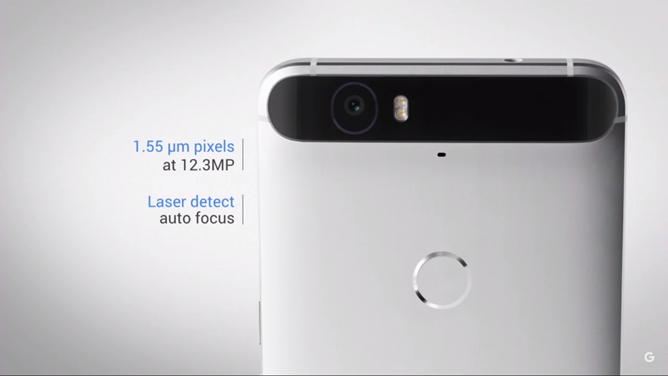 But the really standout feature on the Nexus 6P, at least as Google tells it, is its camera. You'll notice that the 6P has a pretty large camera on its back, and that's because it's hiding away a 12.3-megapixel Sony sensor that features larger pixels than what you'll find on most smartphones, including the iPhone. That should allow the phone to take better photos in low-light, and that's basically what Google is saying. The camera is supposed to be optimized for indoor photography; it also features slow-motion video, 4K video, and burst mode for photos. There's also a 5-megapixel front-facing camera, too. 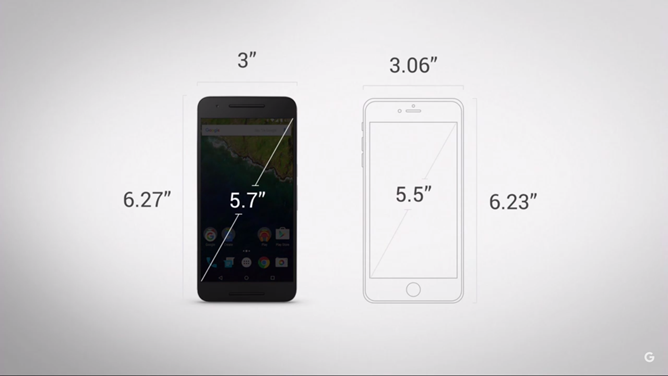 Preorders for the Nexus 6P begin today, with device shipments beginning in late October. Pricing starts at $499 for a 32GB model, and rises up to $549 for a 64GB model and $649 for a 128GB model. The phone is unlocked and supposed to work across "major carriers" — though Google didn't name explicitly which ones. Naturally, it'll work on Google's Project Fi network, too. 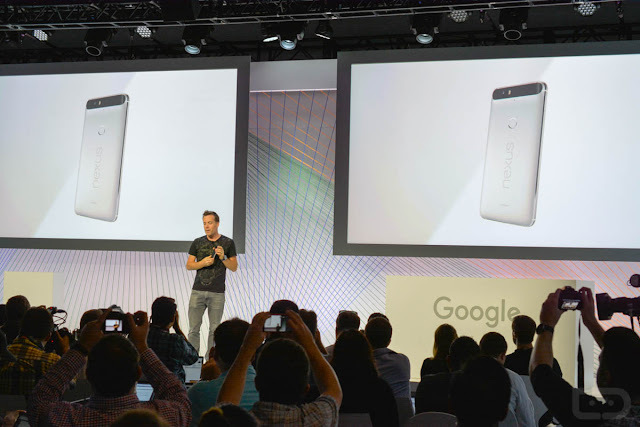 Google is also introducing an extended warranty for Nexus phones. 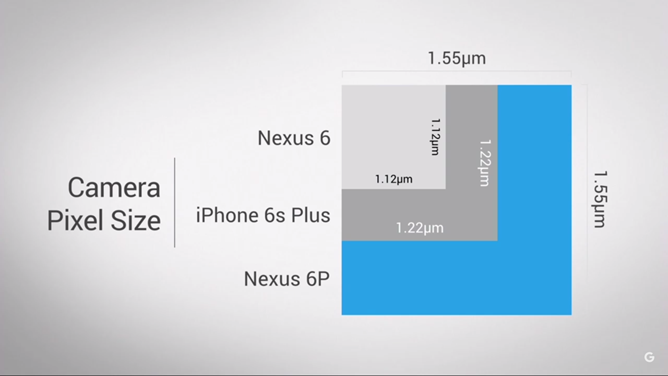 For the Nexus 6P, it'll cost $89 and add provide two years of coverage for mechanical breakdowns and accidental damage. This post will be updated as Google makes more information available.